A section of our theory and practice brief requires us to create a game idea and to make a fragment of an interactive games design product. I was thinking for awhile about what to do and I decided on creating a game which allowed me to teach English and maths to children. I thought by creating a puzzle platformer using game mechanics to enhance childrens learning experience I would create something useful to children who may find education difficult or ‘boring’. I will show my proposal a bit later on through this blog, but there had been an issue with the scope of my project. Simply put, my idea was way too big for the amount of time I had allotted myself due to hand ins. I also made my proposal difficult to do as I am not an educator, I would have to learn a subject and learn how to teach it before I could effectively put it within the game. I have taken on board things discussed with the class and Paul, thus making alterations to my project. I thought by narrowing down my target markets age, plus eliminating some factors of my document such as rather then creating my game to teach both English and Maths I could just use English and get rid of Maths. Furthermore, Instead of creating the game to help teach children with learning difficulties, what if I instead created a game to help bring to light qualities that may be used to help diagnose a child with autism. This way, I could research into autism and tests used to help diagnose a child and then apply these within a game. The game is about a Dinosaur called Allen who was in a hurry to find all his books for school before turning in for bed, sadly the book had been torn up and scattered around by his younger brother. The aim of the game is to help Allen search for his missing pages around his house and help him piece together his book so that he can turn in for bed and get to school on time with his book intact. There are other objects within the game that Allen can collect to help him such as clues and bonus items. On each page that Allen collects he must answer the question correctly in order to find the location of the next missing page. There are obstacles in Allen’s way in each room to prevent him from finding missing pages although obstacles can be broken to find the pages. You must not be seen by your parents when looking for the pages otherwise you will be sent up to your room and the game is over. The target audience for my game is both male and female children aging from 8-10 years old. My secondary target audience is children with autism or similar learning difficulties; when the game is being built both of these audiences will be considered so that it can be used by most children. The target audience will be able to use this software in school to help educators provide a means of teaching children English and Math but to also bond with the children through game play to help understand the child’s way of learning better. The genre for my game is to be a puzzle platformer which will be in 3D, I thought using this would challenge the child to think out of the box and to keep them interested within the game. 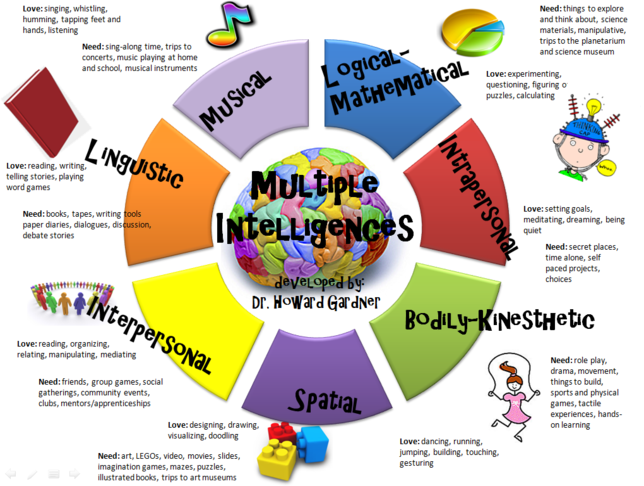 I also found that this genre would be useful for a game which is to be educational and child friendly, and also allows the child to ask the teacher for help and advice when needed so it keeps both parties involved. Two story modes although the only difference will be the questions, one made for English questions and one for Maths. The game will be a 3D person puzzle platformer so the main character Allen will roam the map trying to find the missing pages. You are able to move in full 360 rotation with standard navigation (forward, backwards, left and right). Allen is able to jump, kick and run so that he can get over obstacles, destroy obstacles and to escape from situations to help him find the missing pages and to not get caught. You will have completed a level once you have discovered the missing page in that particular room, in which you are then given the question to solve and once complete the next page becomes available. You will also gain rewards and points for collecting each page, plus rewards for not being caught and for collecting bonus items in that room. Also, once you have unlocked the next page, an icon will appear on the map indicating where the next page can be discovered. The visuals for the game will be Cel-shaded similar to games such as the Borderlands series, Jet set radio and The Legend of Zelda: The Wind Waker. The project will not be a huge project as I want to be able to complete the game and meet the time scale I have set myself for the project. I will keep the game simple by using modularity where possible in both asset and environment design. I think my priority for the project will go into information being correct and transferable to my target audience and also that my game functions correctly with minimal errors. This does not mean that I won’t focus on my game being visually appealing, but that this will be compromised if needs be as I will have to make the decision of what is a desire and what is a necessity. By keeping my scope small, it means I won’t risk over scoping my project and giving myself too much to do and not achieving deadlines as I will be the only individual working on this project. 3 bonus items – These will be 3 variations of bonus items, totalling 6 bonus items for the entire game. 3 NPCs – Allens mother, Allens father and Allens younger brother. 20 unique assets within the game – I thought by creating a set amount of assets then I can use modularity to reuse assets I have but also would be able to meet timescales for the project. The player will control a dinosaur called Allen through a 3rd person perspective and is able to move freely within the level. Once a level has been completed then the player is able to explore the next room on the map to find the next page or bonus item. Although the new room becomes unlocked, it does not mean that the page or bonus item will be found within the new area. The reason the new area is added is to make the game more difficult for the player by giving them a larger environment to search. The player is given a map in which you can see what areas are accessible, but will also mark where you have previously found items. The player is able to track their progress by checking the map to see what areas they have left to unlock, how many points they have gained and how many achievements they have unlocked. The player must not be seen by any of the NPC’s as otherwise they will have to retake the level, so stealth for this is beneficial. The only thing the player is able to interact with is bonus items, pages and objects which are blocking the way. Movement – Allen is able to walk in a 360 rotation allowing him to have flexibility when exploring the environment. You are only able to move at one speed, although this makes the game more challenging as it means you have to hide behind items in order to not be detected by NPCs. Pick up – When you go towards an item, you are simply able to click and the item will disappear into your inventory. Time points – You will lose time points for the longer you take on a level, this will be set back to the original per level and any time saved from the previous level will be added to your total score. Task points – You will gain points by meeting your two objectives, collecting the page for that level but also finding the bonus item for that level. Education points – You will gain points for correctly answering an English/math question which will be found on the page. Achievements – You will gain achievements for reaching a particular amount of points e.g. 100 points = beginner achievement. When confronting myself in regards to my current knowledge within 3dsmax naturally I noticed limitations within my modelling skills as this is something that I have always been slow with but tackling head on especially within my ‘Whitefriargate’ client project. This post is dedicated to self-assessment and how I intend to confront some issues that I have noticed since the beginning of my second year. I thought by addressing these issues I could show my development of my 3d skill and what I am managing to overcome with time and practice so that my current skills would have less implications on the group, myself and the final outcome of the project. I would like to begin with my first issue, I know that in comparison to other individuals in my class and comparing myself in the past that my modelling is very slow and can be basic. I would like to argue that it is improving and that I am producing larger models at a faster rate although I am still not where I would like to be but in time I know this will naturally grow on its own when I become more confident with the software. Comparing my older models to things that I am producing now, I can see an improvement although I know I still have a lot of things to catch up on. My second issue is that in the past, I have noticed that I tend to get lost when countering an issue and due to my way of learning I find it difficult to understand when people are explaining how to resolve it as I find they tend to be unclear or just confuse me further. My way around this has been to begin reading books and hope that I will be able to rely on them and diagrams to help me where videos and people have not. My third issue has been understanding individuals in my class in regards to terminology as when they are explaining how to resolve issues that I have they may use terminology that I do not understand. This is still something I am in the process of trying to get to grips with yet the only way this issue can be fixed is by sticking my head in books and using online resources to help me gain a clearer understanding and to broaden my professional vocabulary. So to sum up, I would like to add that I intend to use books to help enhance my knowledge and make me grow in regards to my 3d work. I would also like to add now that I have reflected on what kind of learner I am I can use this to my advantage and find ways of looking at information which will be clearer and that could hopefully be used to benefit others as well as myself. I have intentions to reflect on myself after the Christmas holidays so that I can compare work from now with work produced then and to give further suggestions to how and where I can improve. Theory of ‘Fun’; What is fun and why do we play the games we do? I thought I would tackle within this blog post some of the reasons we play games, why we keep playing and why we perceive them in fun. Although this can’t be simply answered in a single blog post, and most likely will resort in an on going research process using numerous posts, I hope to at least begin to break down the reasons behind these questions and gain a better understanding through looking at theorists who have already came up with some answers through research of their own. I hope through this I can gain not only a better understanding for myself, but hope that those who read this will begin to look at games closer and notice some of the elements in which are mentioned and begin to ask themselves the simple question, ‘why?’. Recently I have been reading into a lot of material into game theorists so I could develop a better insight into why people choose particular games and what makes games fun. Although simple questions, we really don’t have a clear answer so I decided the best way to find this information out would be to pick up a book. The first book I encountered was ‘A theory of fun’ by Raph Koster; The title seemed to draw me to it as ‘theory’ and ‘fun’ was exactly what I was looking for!. Within this book, Koster notes that other artists have been trying to determine ‘game’ for a long time but each in his opinion being met with little success. I would like to agree with Koster though, each of these may explain what a game is but doesn’t really make us see the aspect of ‘fun’ and gives us little to no understanding to why people choose to play games. Bodily-Kinesthetic – This is someone who finds themselves sensitive to the world around you, tends to be hands on with things and prefers to jump in and get involved by breaking things apart and putting them back together. Spatial – this is a visual learner, someone who prefers to organize information through images and colour and finds things easier to visualize. Musical – You learn through music, you find it easy to recall emotions and tends to have a good pitch and rhythm. Can help recalling particular memories or things you were doing when listening to a particular song or beat. Interpersonal – This is a social learner, you prefer to learn in groups. You like to talk your ideas through and listen to how others respond. You also find it easier to understand other peoples views. Intrapersonal (Internally directed, self-motivated) – You spend a lot of time self-reflecting and find it easier to work alone. you are self-aware and tend to use self-help books or locate information on your own to solve issues. You may spend more time trying to solve your own issue that could have possibly been resolved quicker by talking to someone else. When looking at these, I find myself slip into multiple categories; Spatial, Interpersonal and Intrapersonal. Being both Interpersonal and Intrapersonal naturally has its complications such as being a social person yet preferring to deal with a task by yourself, yet by having spatial learning capabilities I am able to present my ideas in a Interpersonal setting using visuals in hope to resolve issues that I have not been able to resolve myself. I tend to find myself in books yet willing to offer a helping hand or discuss information I found which could benefit others. It is important that I am aware of how I learn so that effectively the information I need to learn can be taught to me and that I will remember it. It is also important to consider who I am wanting to display information to, as likewise they will need to have it presented in a way which will be useful to them. Looking at this, I have noticed that this may reflect why some people choose particular games over others as a person who finds themselves a Intrapersonal learner may direct themselves at games or puzzles which they can tackle on their own such as solitaire while individuals who see themselves as Intrapersonal may find games that require a group such as Payday 2 in which you need to act as a team to effectively complete a match so communication would be important. I was reading ‘3D Game Textures, create professional game art using Photoshop‘ which is written by Luke Abearn. Within this he states the importance of Modularity not only when texturing but as a whole so I thought writing a blog post about this and how I tend to use it when designing my building may be useful. Modular design is seeing patterns within designs so that when creating textures and models, you can save time and energy just by repeating the pattern to create things such as large architecture or small offices, store fronts or even supermarket interiors. By building to grid especially in Photoshop gives you a way to develop seamless textures with optimal results. 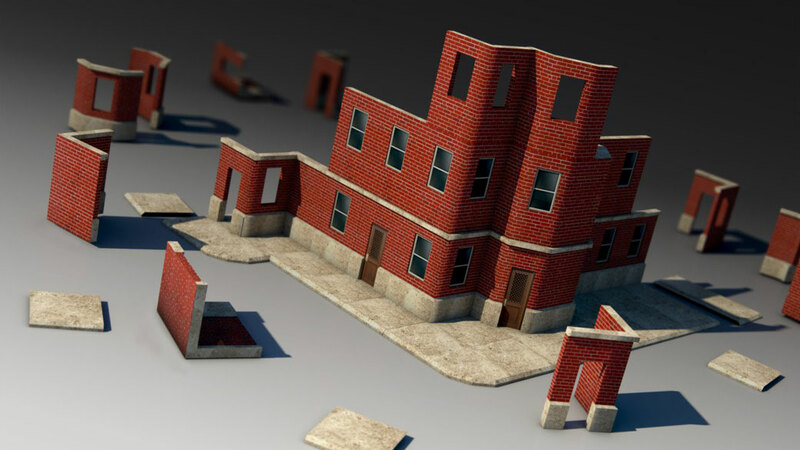 Modularity expands to more than one or two aspects of game design such as level design, building design, texture design, asset design and the list goes on. When individuals design buildings, they sketch up an idea and quite often notice elements of modularity. They tend to begin with large common and repetitive chunks then move onto smaller more unique parts such as decorations like pillars or radiators. Furthermore, when breaking down into the fundamentals of modularity, pieces are broken up into five sections which are considered when designing an environment. These are walls, floors, ceiling, inner corners and outer corners. When designing my buildings for the Heritage project (which iv also referred to as the Whitefriargate project/Client project) and any additional projects using modularity will be useful for me as it will help me make more efficient, tidy models which will only benefit me and the project due to many factors, in which one in particular for me would be time constraints. Another benefit of me using modularity within my project is that the buildings become easily expandable as all that has to be done is to clone the particular piece you want and it should, in theory, fit nicely alongside the rest of the building. 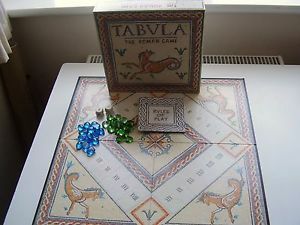 The roman game, also known as Tabula or Tabvla was created by a greek soldier of the trojan war who so happened to be named Alea (the word alea meaning ‘chance’). This game is said to be closely related to backgammon which is one of the oldest board games made for two players, and is also a decendant of Ludus duodecim scriptorum or also known as XII scripta. The rules of the game are still unclear to me as I personally found the game difficult to get my head around although its possible that there are more simplified versions of this game. The main aim of the game is for the winner to ‘bare off’ all fiften stones, he can do this by moving his stones across the board depending on the number the dice has given him and taking into account variables such as throwing a double. This game had a few issues to begin with as people weren’t willing to play due to the readability of the rules as they were long and boring. This made me feel as if the novelty of the game wore off for people as they weren’t willing to invest time into attempting to learn something they didn’t previously know; I found this emotion understandable as I consider myself an individual who would invest time to learn a game although the readability of the rules made this extremely difficult. Considering the design of the game, I think the game is designed for older users who are maybe familiar with the game previously and has a niche market. I think to improve the game for the individuals within my group simpler or clearer versions of the current rules would have to be used to reduce confusion or conflict on deciding the rules. It would also make the game easier for people to gain a state of flow. After speaking with Gareth he made the point that people were unable to relate to the game hence why they may have been quick to dismiss it but if we were to make alterations to the current game such as something as easy as changing the skin to something we enjoy or relate too, how quickly our opinion and attitude to playing it would change. For example the game roman is similar to the game monopoly so people who play monopoly will probably relate the game roman and will have fun playing it. For those who have never played monopoly, just simply changing the skin of the game such as using characters or objects in an environment in which the player is used too would be enough to entice a player to play roman unknowingly. As previously noted, the game roman made people fall into worry/anxiety as the skill required was low but the challenge was too difficult as people became quickly confused thus people dismissing the game and commenting on the game before successfully playing a match. This is interesting to see how quickly people dismiss the game without applying themselves as much as possible despite rewards being in place for the winner gaining points for the game in the class. I personally found the game interesting and definately challanging once we managed to decide on the rules and all being on the same page. In future if I was to play the game again, it would be with someone who understood the rules previously as explaining them can be confusing especially to those who are unfamiliar with similar games, but also that I could get a better understanding for the game myself as even I found the game difficult. 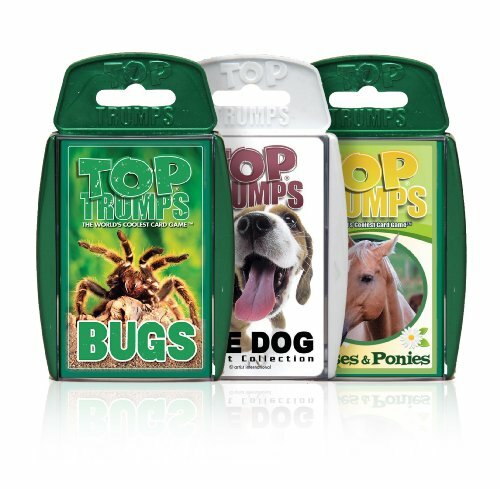 Top trumps is a card game in which players compete to win the game by comparing particular categories and the individual who has the higher value on that card is able to take that players card. Once a player loses his entire deck of cards, he is removed from the match and the player who is able to stay in the match the longest is the winner. This game has been around since the 1970’s and is still popular today with many different categories from animals to military, from space phenomena to music; this games market reaches to all individuals. This game was taken on board pretty promptly after explaining to people within my group that I was previously aware of the rules so no rule card was needed although at quick glance the rules were simple and clear. This was bound to happen as the game is designed for a particular young target audience so the designers would have considered the layout and readability of the rules to make the game easy to understand. Once I had explained the game, we began quickly as the skill required was low yet the competitiveness between us as a team was rather high due to the atmosphere being set when playing the previous game of Jenga. The game itself became dull after a short time although the challenge was there, the only issue is the game relied too much on chance so there was no way to apply more challenge within the game to keep the player occupied and interested. So basically the game itself was so constant that it became boring after a set period of time. The only benefit of playing for long periods would be solely on bragging rights for me personally, although the game has the advantage of being simple to play and explain so it can get large groups of people playing fast. The game can be reinvented and applied in many different forms in which iv previously seen the game sell dr who and Disney versions of the same card game but due to the cards having a new skin they gain a new appeal to various audiences both who are familiar and unfamiliar with the game itself. Although this only being an example, with this element like this added into the game or something similar, it creates variables to keep the game interesting and to keep player engagement constant. It also gives more purpose to the games card designs as the user becames interested in the information written on the card as the information could become useful if the player gets given a question. The reason I suggest this is because usually the player only focuses on the statistics on the card and never on the education element to the game which is sometimes disregarded. The first game we played for our task was Jenga, this is a game which requires both physical and mental skill in order to complete as each player must remove a block and place it at the top of the tower without the tower falling. The higher the tower gets, the more unstable it comes causing you to have to make good move choices and take risk. The game is both agon and alea meaning that is the game is based on competition and chance. In regards to state of flow we seemed to enjoy this game as it required low skill but was challenging so everyone was able to get on board with the game quickly and soon watching our friends become defeated by the fall of the blocks gave us immense satisfaction and allowed us to gloat in which our friend would quickly challenge us to a rematch. This is great as it allows the game to be played over and over without becoming boring which gives the game good value as using the game again is high. To improve this game, I would personally make some of the blocks worth more points than others so that people are willing to risk more for blocks with higher points increasing the rate of competition. 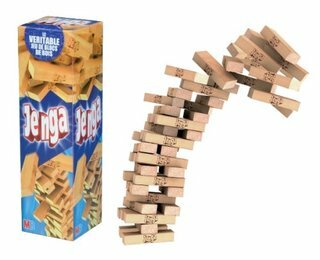 I have seen variations of Jenga for parties such as drinking Jenga which allows people to associate with the game if they have never played it before but it also gives Jenga a new use as it is never seen as a game which could be used as a party highlight. I personally found the game interesting and easy to play which for me personally is a winner as it means that the game is simple to understand and everyone can become involved in it. I also like the fact that both children and adults can have just as much fun with this game which gives the game a large target audience.